I spend some time researching how to install the nav antenna in the wing tip. It should be strongly electrically bonded to the wing skin. I decided to rivet it to the piano hinge which will provide a good connection to the skin. Apparently it is best to place the antenna further forward, but I was worried about getting it too close to the nav and strobe lights at the front. Here is the wing tip with the piano hinge riveted in place. 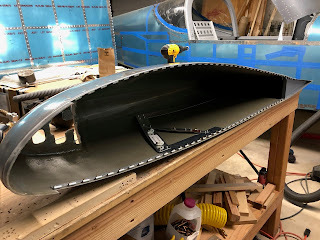 I had some trouble getting the hinge to seat flat to the fiberglass which I solved by using the rubber washer trick- I put the rubber washer on the back of the rivet before squeezing it. 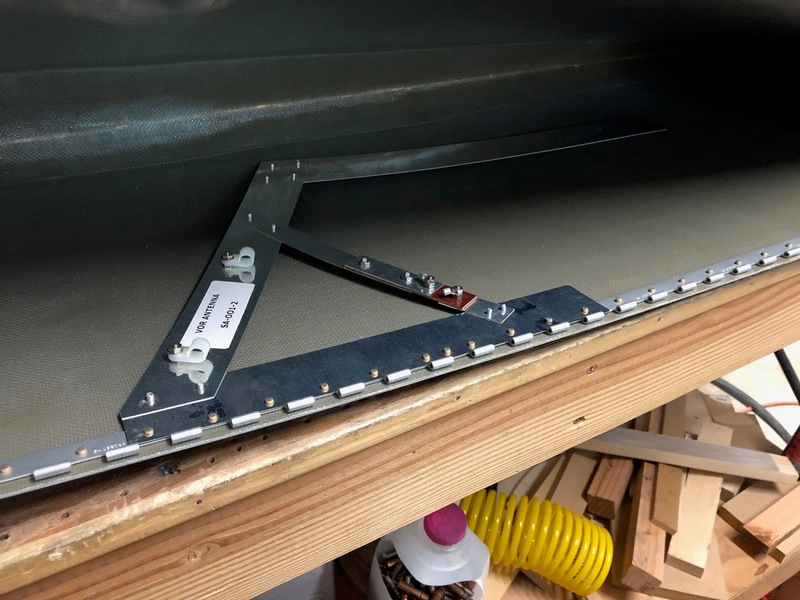 The washer pushes the piano hinge into the fiberglass as the squeezer closes the rivet.